Advanced Level - You Can Learn IET! Class Length: 1 day (approx. 8 hours). This class is designed to be taught in one day, and typically runs from 9:30 AM to 5:30 PM. 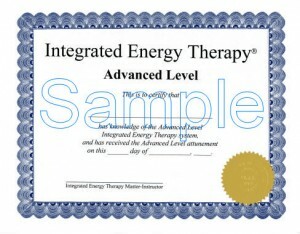 The actual length and times of class vary by individual Integrated Energy Therapy® Master-Instructors. Intensive (Basic & Int & Adv): As part of a three-day “Intensive” class, which offers Basic, Intermediate and Advanced to the same set of students, allowing an accelerated format. All three levels must be taken. Three certificates are given upon completion. 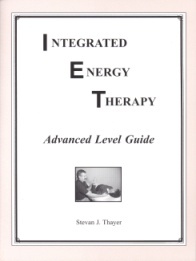 A Note from Stevan: To read a note from Stevan on how several of the same concepts in the popular DVD The Secret are covered in the IET Advanced Level training, click Here. To see Advanced level classes that are currently scheduled, click HERE.